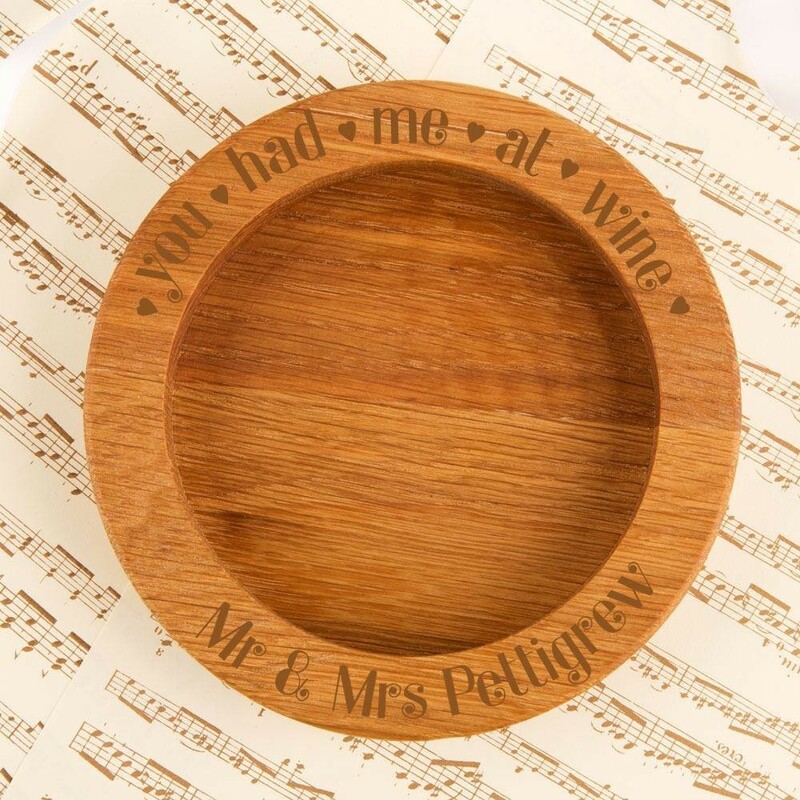 Our cute wooden wine coaster makes a excellent gift for any occasion - from Valentine's day to Birthday's, Christmas or an Anniversary! 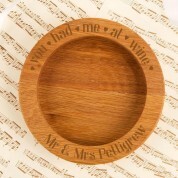 The solid oak coaster is laser engraved in house with the recipient's name and a short quote: "You Had Me At Wine". The design is complete with pretty hearts, giving this keepsake a feminine touch. 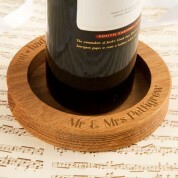 This is a unique gift idea for any wine lover, that will compliment the dinner table when entertaining guests. 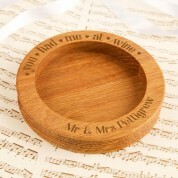 Because of the natural grain of the wood, all coasters will vary slightly in colour and texture, making this a one of a kind keepsake.